Bath seats are water resistant seats that are submerged in bath tubs. Usually, they are made of plastic, metals or both. 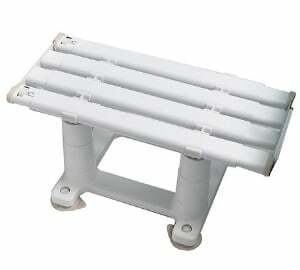 The key features of all models of bath seats are giving rest to the users while having bath. In addition, some models can have features that help the users access the tubs with ease. Bath tabs are also designed in a variety of designs. The adjustment in design is to make the product elegant. 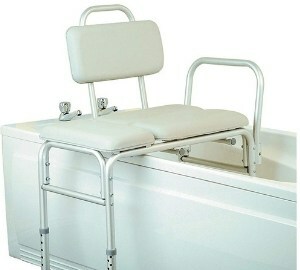 In addition, bath seats take in account the safety of the users during development. In essence, bath seats can be said to be healthcare household items. They help in the process of showering when there are mobility issues. Who would use a Bath Seat? Bath seats are household support equipment. They can be used by the elderly for a number of health reasons. The most common reason is when the elderly need or have just had a hip and knee replacement and are unable to support them. Other reasons include; pain and weakness of the upper body, pain and weakness in the legs, dizziness and back pain among other reasons. 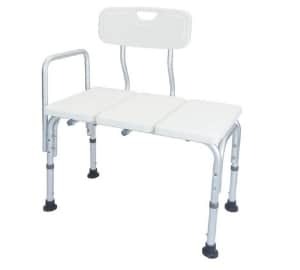 With the elderly, the use of the bath seats relevance increases. This can be attributed to the loss of mobility as one approaches old age. The loss of mobility can only be due to chronic illnesses like arthritis, diabetes, stroke among others. Here is a short video that shows you how to use a bath seat. What to look out for when buying a bath seat? Like when buying anything, you need a keen eye to buy a bath seat. A fixed seat or a mobile seat? The seats come either as fixed or mobile seats. Depending on the preference one can get either. 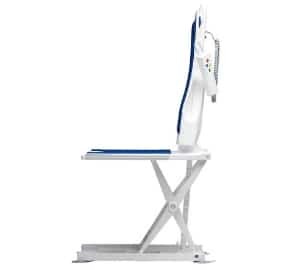 Weight capacity- user’s weight is a key component to take in account before buying the bath seats. Material used in construction – can be plastic or metal or both. Other factors include; design, size and usage. How much does bath seat typically cost? 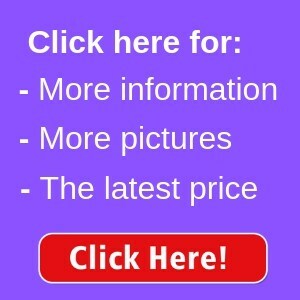 The pricing of the bath seat varies greatly depending on a number of factors. The factors range from the type of material, quality of the model, the size among other factors. With as low as £25 you can get yourself a decent bath seat. In general, the pricing of the bath seats is affordable and accommodative. 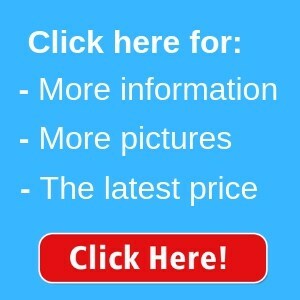 Therefore, you will pay depending on what you need. You have to consider all the factors and features it offers to know which cost fits you. The Homecraft Savannah Slatted Bath Board is sturdy and easy to assemble. The product at first sight may not look of great quality. However, it is one of the best quality bath seats. The product is very pocket friendly. For people on a budget, this is a good product for them. Fits very well in the tub hence better customer experience. Has a hygienic cover that is washable. Therefore, maintaining the greatest level of hygiene. Has the ability to hold a high weight capacity. Ideal for the heavy users. Very easy to assemble and use a feature greatly applauded. Swivel seat stable and fits in the tab perfectly. Very portable for easy maneuvering. The height of the seat is highly adjustable. Offers user extra width adjustment. This improves the user experience. Is slatted, therefore improves tub drainage hence ensuring bathtub is always clean. Has VAT relief which is probably the most popular feature for this seat. 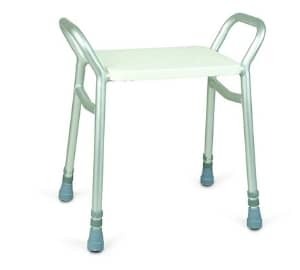 It is light and adjustable hence offers extra stability during the bath. Within the UK the seat is eligible for VAT relief. No extra charges. Made of aluminium and is non- corrosive. Able to avoid rust. Stay longer. The seat has handles attached to both sides. Extra support. Fits well in the standard tub with the help of suction cups. The seat is sturdy hence gives used comfort while using it. 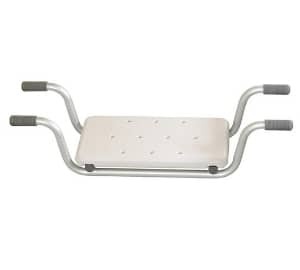 Has a high weight capacity of up to 420 pounds. Extra convenience and independence as it can be used with a bath board. 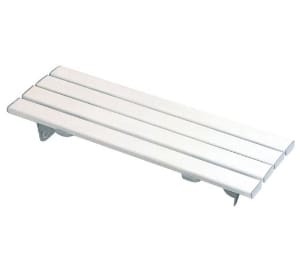 Made both from non-corrosive aluminum and has a plastic seat hence very durable. The seat is strong, cheap and of great quality. Very pocket friendly. No assembly required, hence very easy to use. Great customer user experience. 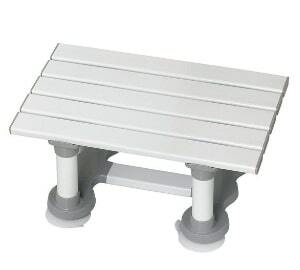 An additional bench that helps prevents falls. Has a backrest. 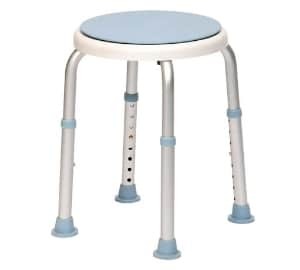 The backrest provides extra support to the users willing to have extra back support. Can be easily assembled and readied for use. Easy to clean and maintain high standards of hygiene. Has an adjustable height feature. More height options for the user. The arm rest on one side offers more security and safety for the users at all times. Material is of high quality hence is long lasting.